ST. GEORGE — After months of debate and negotiation, Congress voted final approval Wednesday to a massive farm bill that will provide more than $400 billion for agriculture subsidies, conservation programs and food aid. The House voted 369-47 for the bipartisan legislation, which sets federal agricultural and food policy for five years, after it was approved by the Senate 87-13 on Tuesday. It is now headed to the desk of President Donald Trump, who is expected to sign it. On a national level, the legislation will reauthorize crop insurance and conservation program, pay for trade programs, bioenergy production and organic farming research. It will also reduce the cost for struggling dairy producers to sign up for support programs and legalizes industrial hemp cultivation. Utah farmers and ranchers stand to benefit as well, said Ron Gibson, president of the Utah Farm Bureau Federation. “This bill will continue to allow the risk management protections, environmental stewardship programs, and safety nets that have been most helpful for farmers and ranchers in Utah. During this time of challenging economic conditions in agriculture, this bill helps farmers and ranchers know they have the support of the American people, and we look forward to President Trump signing it,” Gibson said in a press release. The measure also includes the Sage-Grouse and Mule Deer Conservation and Restoration Act supported by Sen. Orrin Hatch, and Rep. Chris Stewart, R-Utah. It gives the Bureau of Land Management the tools needed to preserve the sage-grouse and mule deer sagebrush habitats from encroaching pinion and juniper trees, according to a press release. “The passage of this legislation is something conservationists and sportsmen can both celebrate. 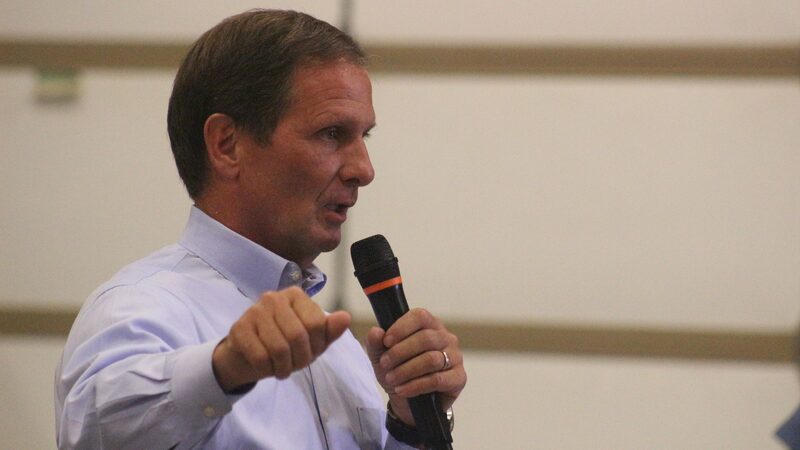 In order to protect mule deer and sage-grouse populations in Utah and across the West, we must protect and enhance their habitat,” Stewart said in the press release. The 12,628-section farm bill does not include more work requirements for food stamp recipients, a provision of the House bill supported by Trump that was included in the original bill but was a point of controversy during negotiations. House Agriculture Committee Chairman Rep. Michael Conaway, R-Texas, supported the stricter work requirements and worked to restrict the state’s ability to exempt work-eligible people. The measure also wanted to limit the circumstances in which families are automatically eligible for the Supplemental Nutrition Assistance Program, or SNAP, based on their qualification for other poverty programs. The original House bill was not passed after 30 GOP members blocked it because of an unrelated immigration issue. It was passed the second time, but was unsupported by Democrats who did not like the new work requirements that were included. 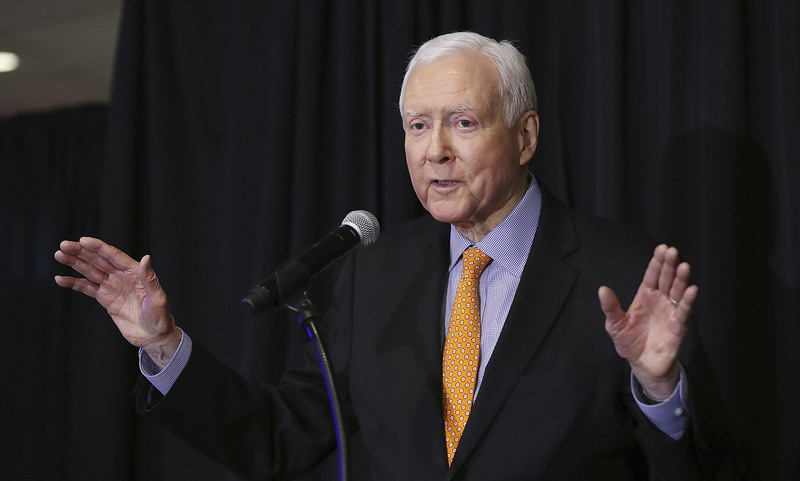 Hatch’s Food Donation Act was passed as part of the bill and aims to strengthen food donations nationally, eliminate food waste and increase food options for hungry families, according to a press release. The act clarifies and adds to the Bill Emerson Good Samaritan Food Donation Act of 1996 by extending liability protections for food donation organizations to help increase food donations without jeopardizing food quality or safety. “From areas as different as feeding the hungry to habitat conservation, this Farm Bill is going to make a real difference. As a longtime champion of eliminating hunger, I was proud to see the inclusion of provisions to remove barriers that will increase donations of safe, nutritious and quality food,” Hatch said in a press release. The relaxation of restrictions on pesticide use was another portion of the text that did not make it into the final bill. The House and Senate were also conflicted in negotiations over the bill’s forestry and conservation sections. In recent weeks the White House asked Congress to make changes giving more authority to the Agriculture and Interior departments to clear forests and other public lands in response to the deadly wildfires in California. Their authority was not significantly increased in the final text of the bill, however. The bill maintains current limits on farm subsidies, but includes a House provision that expands the definition of family to include first cousins, nieces and nephews, making them eligible for payments under the program. Corporate welfare. Aint it great.